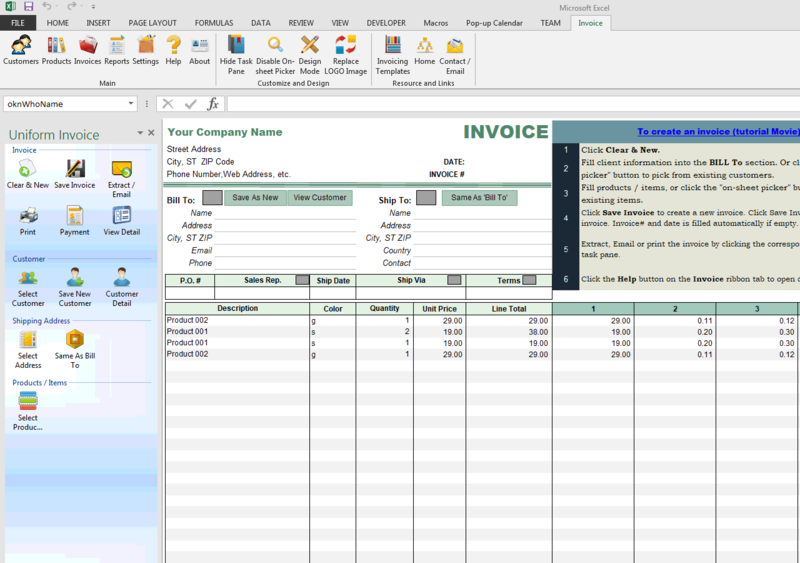 c5029 now includes the customized invoice template for the latest version of Invoice Manager for Excel. 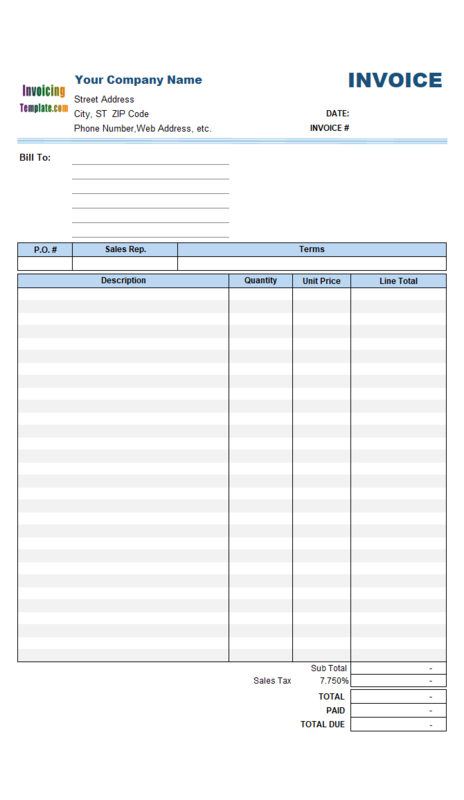 This is what you will see when you open five-price-levels-sales-percentage-custom.xlsx. 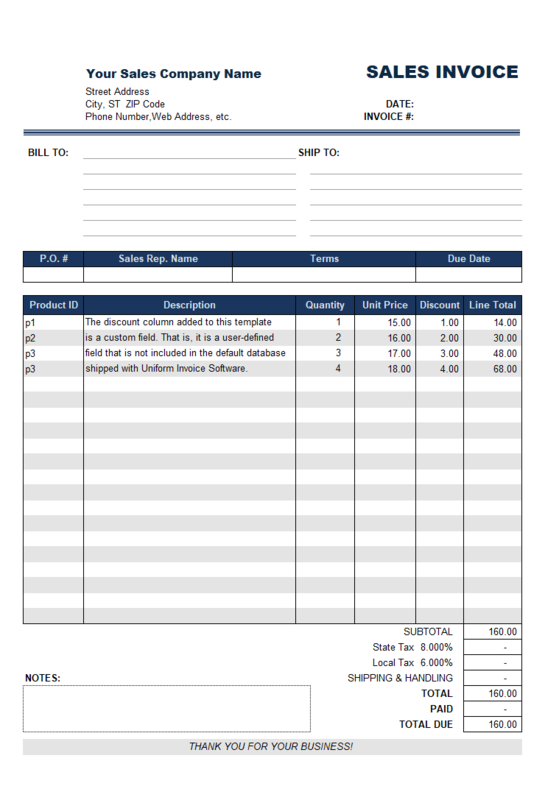 The meaning and usage of percentage values are detailed in Form with 5 Price Percentage Levels (Sales), where you can also find samples on how to use the percentage discount fields. 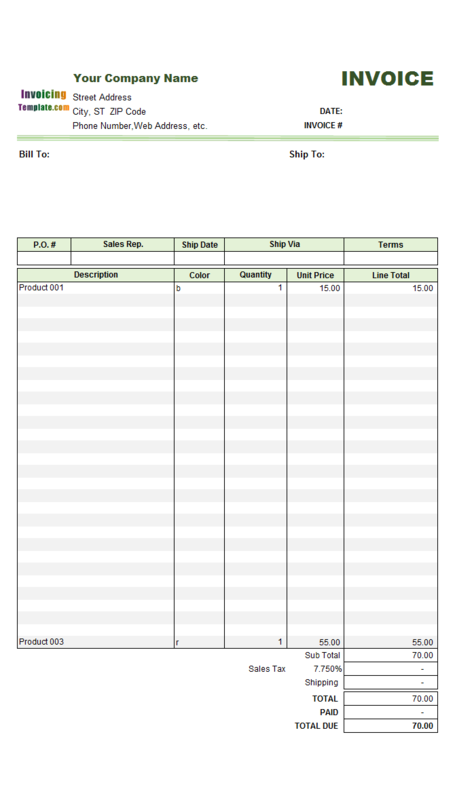 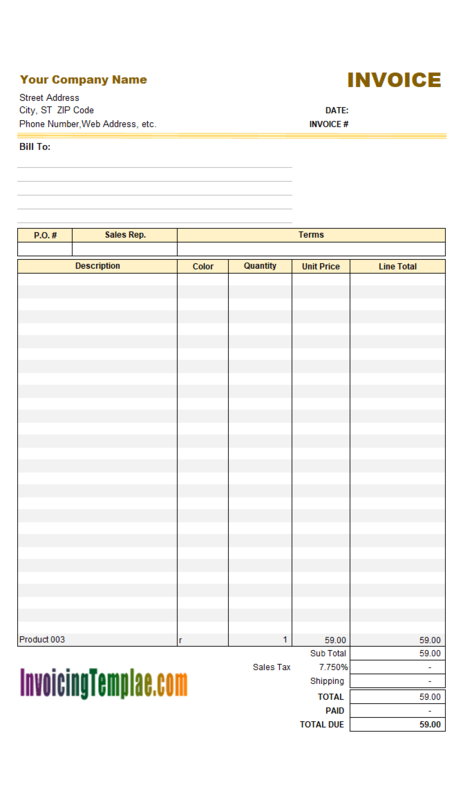 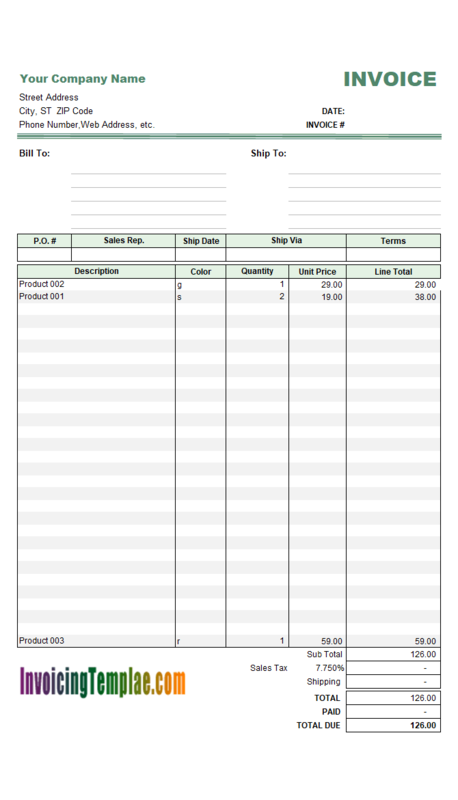 The keyword "Color" in the template name means there is an additional column "Color" on the invoice body, which is a custom field defined in both the Product and Invoice Body database table. 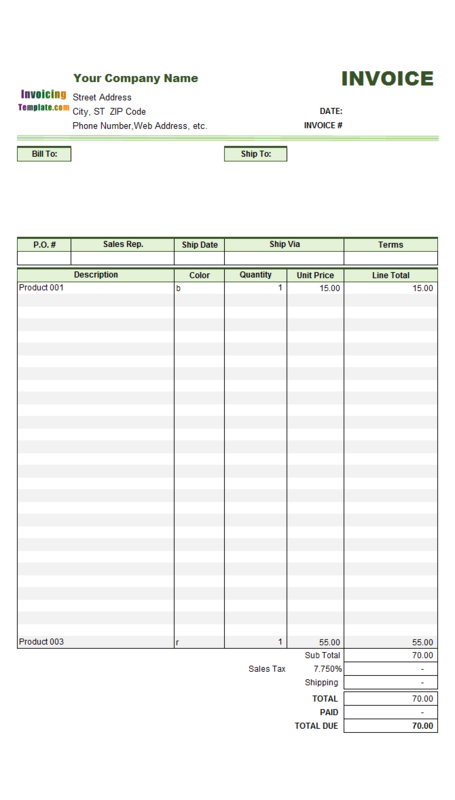 Custom Field is a concept introduced by Invoice Manager for Excel (namely Uniform Invoice Software), which refers to the fields that are not defined in the default database structure of Invoice Manager for Excel (namely Uniform Invoice Software). 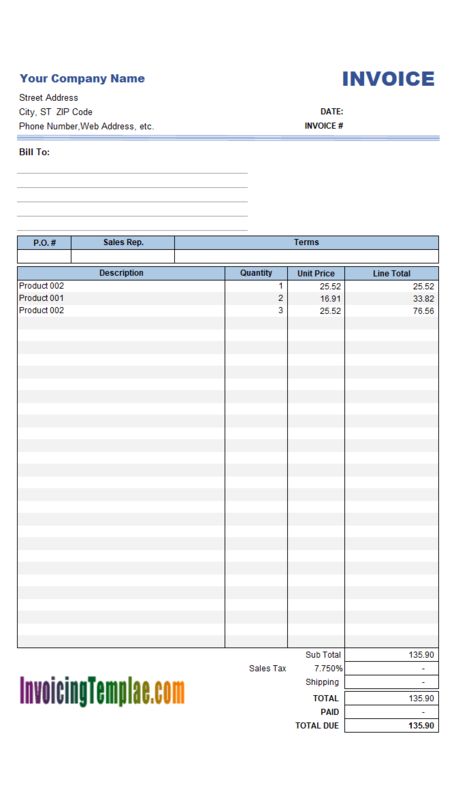 For example, for an invoice selling clothes you may like a "Size" column on the invoice body to indicate the size of the invoicing item, but the "Size" field does not exist in the default database definition. 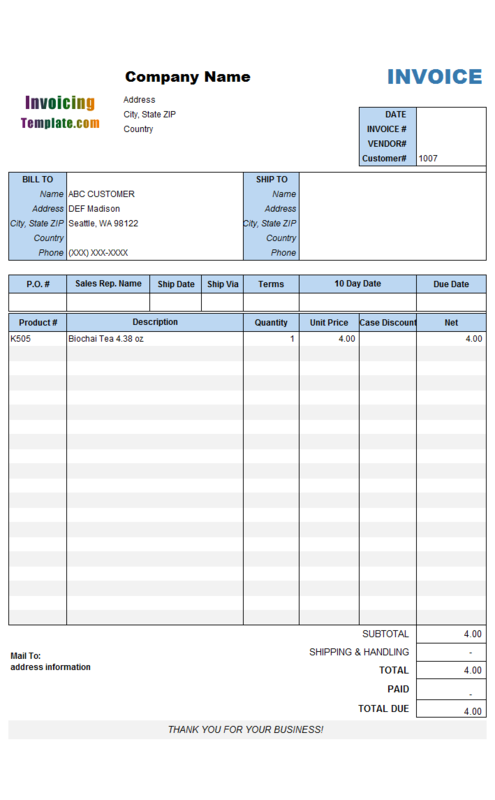 In this case, you can add it as a custom field in both the Product and Invoice Body database table, so that when you pick up a product on creating an invoice, the size field filled in automatically along with the description, price and product #, and when you save an invoice, the size field is saved too. 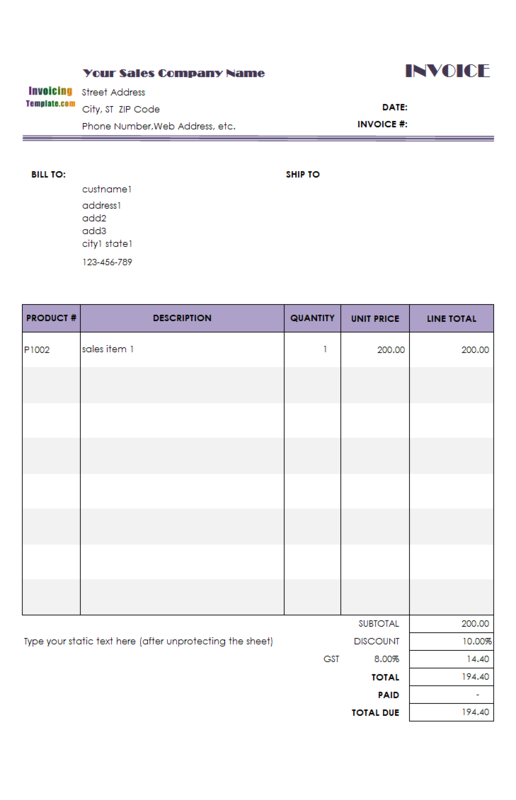 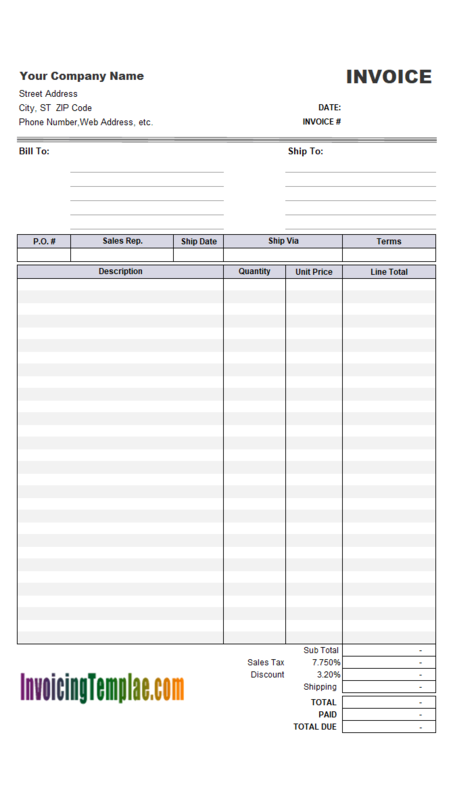 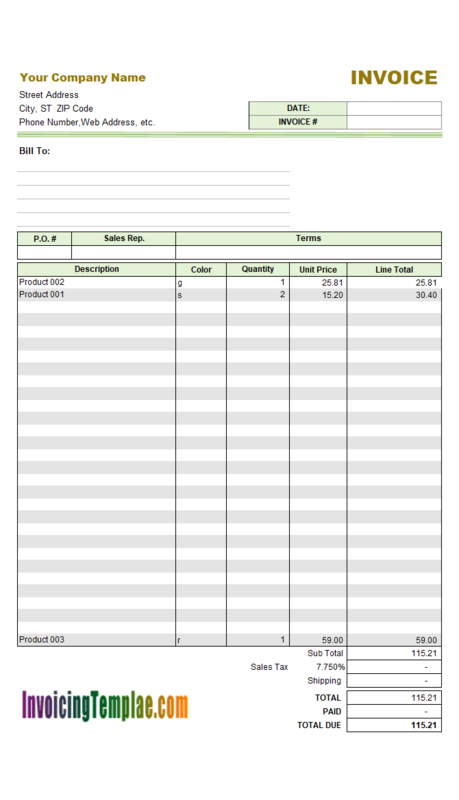 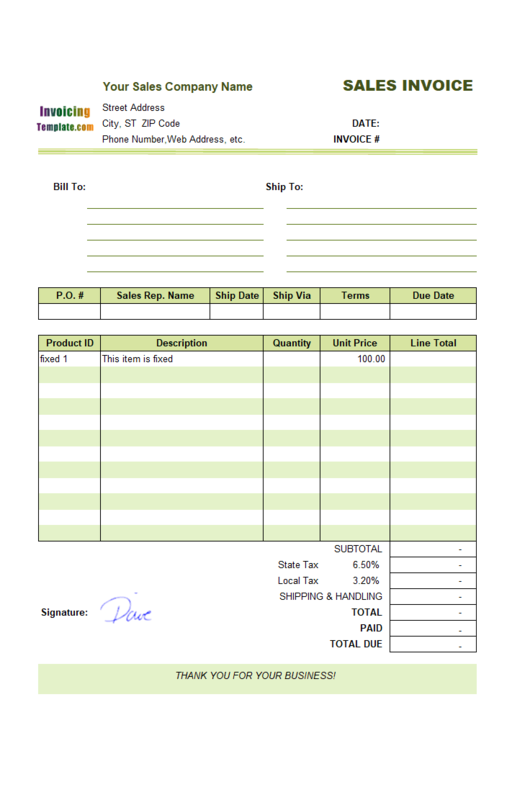 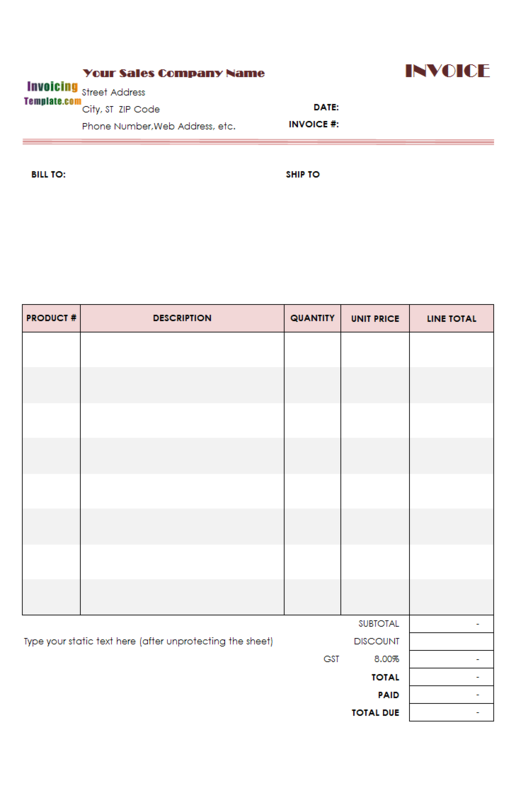 If you prefer a service version of this invoice template, click here. 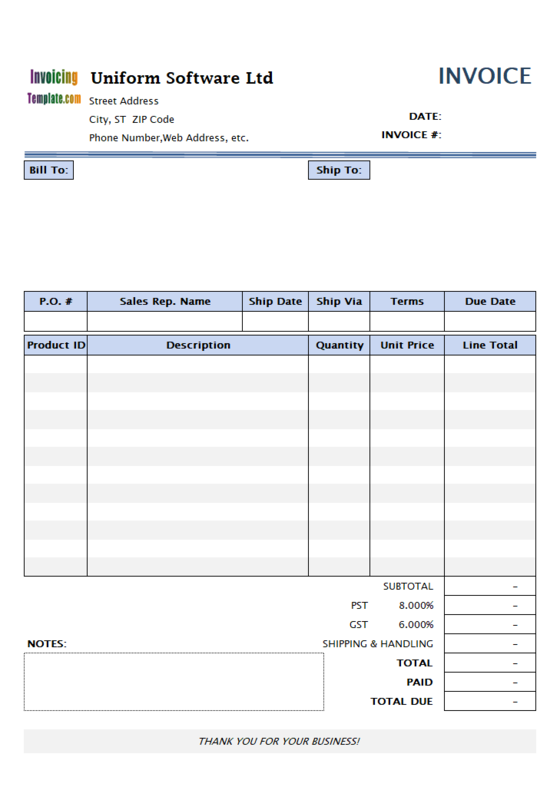 In the "Bill To" section, replaced "oknWhoCountry" cell with "oknWhoEmail" cell. 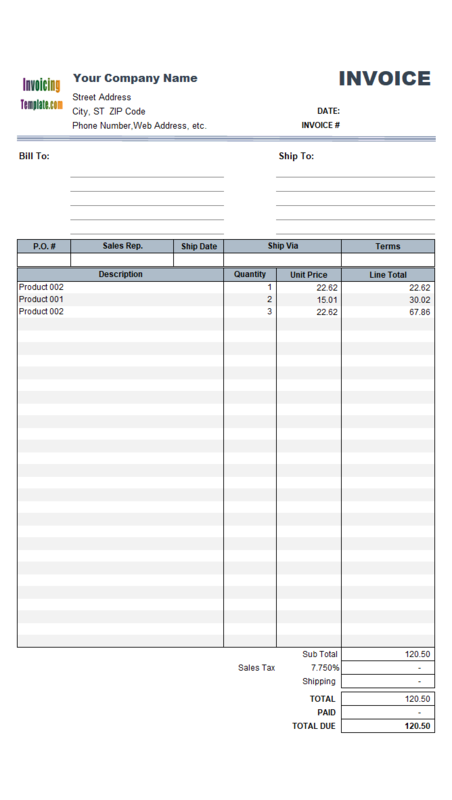 Added bottom lines to cells inside both the "Bill to" and "Ship To" sections.